As you age, you must face the appearance of many undesirable skin conditions. Seborrheic keratoses, also known as SK, are one of these conditions. SK are raised and often dark age spots that commonly appear on the face, neck, and hairline. While these markings are harmless, they’re not wanted. Instead of trying to hide your seborrheic keratoses, fight back with ESKATA®. ESKATA® is a topical treatment that contains prescription-strength hydrogen peroxide to dry out and remove unwanted SK. Administered by a licensed provider, ESKATA® can put you on the path to blemish-free skin. 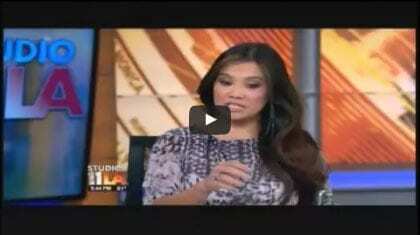 What Are the Benefits of ESKATA®? Any patient who is experiencing dissatisfaction with the appearance of their seborrheic keratoses can benefit from ESKATA®. ESKATA® is FDA approved for raised SK removal on the face, neck, hands, and extremities. This product shouldn’t be applied on any lesion on the orbital rim as the solution may harm the eyes. Open or infected lesions should also not be treated. ESKATA® is a non-invasive, topical treatment for the removal of seborrheic keratoses. This treatment is administered with a soft-tip, pen-like applicator. To begin, your doctor will clean and dry the SK and the surrounding areas before applying the ESKATA® solution. This solution is applied directly to the SK lesion in a circular motion for approximately 20 seconds. During your treatment session, ESKATA® will be applied to each lesion four times at approximately one minute apart. This allows for ample treatment time. Following your ESKATA® treatment, you can expect to experience some frosting, redness, crusting, and scaling of the SK lesion. Patients have experienced itching and stinging in the treatment area that can last up to one week. With ESKATA®, you should not cover the treated area with bandages or gauze, and makeup, sunscreen, and any topical products should be avoided for at least six hours. 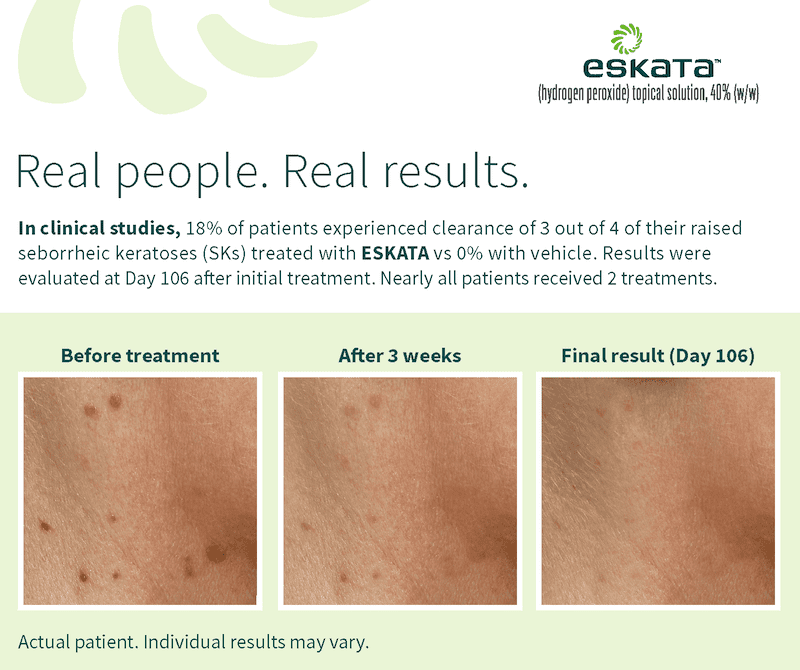 Full recovery from your ESKATA® treatment can take up to three weeks at which point your skin reactions should resolve. For most patients, a series of two ESKATA® treatments are required for the complete removal of your raised SK. Your doctor will see you at three weeks post-treatment to evaluate if a second treatment is required for the permanent removal of your seborrheic keratosis. Enjoy smoother, SK-free skin with ESKATA®.